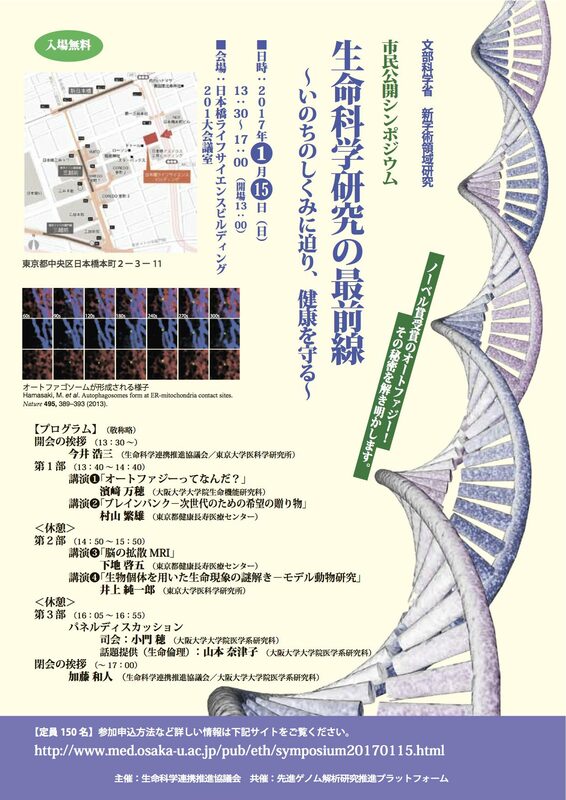 Genomics and Society Unit will co-host a public symposium on January 15th, 2017, in Tokyo. The title of the symposium is: On the Front Lines of the Life Sciences ~ Approaching the Mechanisms of Life and Protecting Health. We will discuss a variety of ELSI (ethical, legal, and social issues) topics. We are looking forward to your participation.